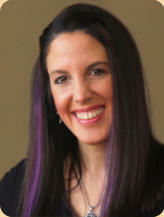 Who Am I and Why Should You Listen to Me About Growing Your Professional Organizing Business? You’re Protected by My Risk-Free, 60-Day Money Back Guarantee! If for any reason you feel my “Ultimate Guide for Professional Organizers” program isn’t for you, just send me an email within the next 60 days, and I’ll issue you an immediate, no questions asked, refund. AND you get to keep everything! You have absolutely NO Risk! I am willing to offer you this crazy guarantee, because I am so confident in the value and effectiveness of my program -- I don’t want you to take my word for it, I want you to try it and prove it to yourself! Q: How quickly can I get The Ultimate Guide for Professional Organizers? A: It will take just a few minutes. Everything included in my program can be downloaded to your computer. That means you will have everything immediately after placing your order. Q: Are the ideas difficult to understand? A: Absolutely not.The ideas are simple, easy to understand and to implement. Q: How long can I have access to your program? A: You will save everything to your hard drive, so you will have access to everything forever. Q: Are there any additional charges? A: No, there are no additional charges -- just the low price listed above. Q: Can I print out the contents of the program? A: Absolutely. In fact we recommend it if you would like to read it away from your computer. You can always print it and put it in a 3-ring binder. Q: Are the ideas expensive? A: No, not at all. Most of the ideas are free or very low cost. Q: If I’m not happy, can I get my money back? A: Yes, of course. 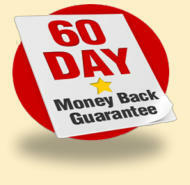 Our products all come with a 60-Day Money-Back Guarantee. Just email or mail me a note to let me know you would like a refund. Maria Gracia Get Organized Now! Step 1: When you click the “Instant Access” button you will go to a page where you can see everything that is included in your order and how much it will cost. Step 2: Click the “Check Out” button to enter your name and address and your payment information. You can then click “Submit Order.” Step 3: Next you’ll go to our download page where you can download everything to your computer hard drive. Then you can access the information anytime and as often you like -- forever. You will also receive an order confirmation via email with downloading instructions for you to save for future use. That’s it! Enjoy! Imagine the satisfaction you will feel when your organizing business is providing you with a comfortable living while impacting the lives of others in a powerful and positive way. Most of us long for a comfortable life without stress or worry. And many want to make a positive contribution to those in their communities, or even around the world. Starting and growing a successful small business is one of the best ways to achieve those goals. I know how I felt when I first started my organizing business. It was exciting and it felt so good to begin receiving positive appreciation from those I was helping to get better organized. Even today I still get a warm feeling when I receive a letter or email expressing appreciation for my organizing services or ideas that I provided to them. 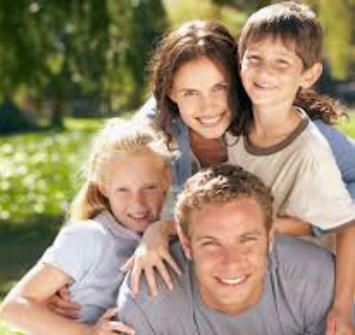 My organizing business has helped me and my family live a more fulfilling and rewarding life. We were able to build a beautiful home, take wonderful vacations and enjoy the finer things in life. When you receive my Ultimate Guide for Professional Organizers you will have the secrets to growing your business to provide you with a better life, just as they have done for me and my family. Remember, it comes with my money- back guarantee! 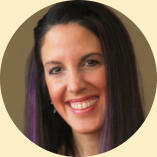 Who is My “Ultimate Guide for Professional Organizers” Program For? My “Ultimate Guide for Professional Organizers” Program is for people who want to start, manage and grow a successful and profitable professional organizing business. They are the kind of people who have a vision for a well-run business that provides an excellent service in their community. They enjoy working with and helping people to become better organized. Most importantly, they are people who don’t want to waste time and money trying to recreate the wheel. They don’t want to spend years of frustration working hard but never seeing the rewards that they know they deserve. They want to learn the easiest and most effective ways to grow their business from someone who has already done it and has been very successful at it. Isn’t that the kind of person you are? Who is My “Ultimate Guide for Professional Organizers” Program NOT For? My “Ultimate Guide for Professional Organizers” Program is definitely not for people who are hoping for miracles or ‘get rich quick schemes.’ Starting, managing and growing any kind of small business takes a positive attitude and a commitment to success. It is not for people who don’t like working with other people, or helping others get better organized. It is not for someone who isn’t very interested in creating a profitable organizing business. Since you have read this far, I know this ISN’T YOU. BONUS 1: Sample Marketing Templates by Maria & Joe Gracia The way you attract and keep customers is by effective marketing. Your marketing has to be based on a solid and proven effective strategy. These marketing templates helped me grow my business so I know they work. This is the area where so many small business owners miss the mark. They minimize the results they could have achieved instead of maximizing them. This valuable bonus provides a long list of marketing templates to make your marketing job a lot easier. By offering this special, low price we will get a lot more people experiencing our program and we'll receive a lot more feedback -- in a short period of time. That's worth it to me. And after you try my program I'd love to receive your feedback too. You could be rewarded emotionally, and financially! Do you have your own professional organizing business, or are you thinking of starting one? This field can be extremely rewarding, both emotionally and financially. The Emotional Rewards: you're about to help people change their lives for the better. As you help people get organized, you're freeing them from clutter, stress, chaos and frustration. You're helping them find more time for themselves and their families. You're giving them pride in their surroundings. You're making them happier people. You're helping them reach their goals. What a wonderful feeling to be helping people achieve such wonderful things in their lives! The Financial Rewards: you're about to embark on an extremely profitable endeavor-- one that can help you make anywhere from a few hundred extra dollars a month, to thousands of dollars a month! The financial rewards are especially gratifying, because they're unlimited. There is no end to how much money you could make in this business. You can start and grow this business on a shoe-string budget! Starting and growing a professional organizing business doesn't require lots of capital. It doesn't require you to spend thousands on advertising. You don't have to go out and buy expensive equipment. You don't have to invest in any special training. You basically have to have two things: 1. a knack for helping people get organized and 2. a desire to run your own successful business. That's it. 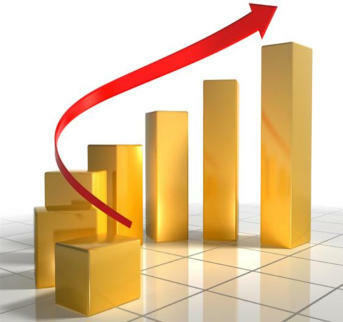 You could be making huge profits! My company, Get Organized Now!™, has been very profitable from the very first day we started in 1996. In the beginning, I was conducting personal organizing sessions and workshops--actually going to homes and offices to help people organize their cupboards, file cabinets, closets, basements, desks and more. I was making, on average, $2000 per month. At the time I thought, 'Wow, $2000 a month on a business that I just started!' I thought that was really amazing. Actually, that was nothing compared to how financially successful my business has grown since then. I quickly discovered you could really customize this business to your liking. You can simply conduct a few personal organizing sessions each month and do very well. Or you could do even better by simply adding a few very profitable products and services to your business. As I learned through trial and error, your clients are willing and able to buy a lot more from you, if you just offer them what they want. Now you can learn exactly what they want without spending years like I did. The professional organizing field is one of those unlimited growth fields. You can take it to the financial level you choose. It really is an exciting profession with unlimited rewards. What's the easiest way to make a lot more money from your organizing business? I want you to know that your business could be providing you with a comfortable living for you and your family, and you could be enjoying the same carefree lifestyle that I have. But before your business can do that for you, you have to know some very important things about growing your organizing business. These are things that it took me years to learn--but now you can learn them instantly. The easiest way to learn how to grow your organizing business is to have someone who is already successful show you how to do it. When you have someone take you by the hand and guide you every step of the way, it's incredibly easy. You don't have to worry about going down the wrong road. We both know how expensive that can be. How can you make your sales soar? Early on, many people wanted to know how my company became so profitable, in such a short span of time. So, I basically met with people for $75 an hour and told them how I did it, and how they could do it too. But time and geography limited the number of people I could actually share this information with. So I needed another solution. I wanted to be able to share all of the discoveries I've made over the years, in a way that would be as cost-effective as possible for you. I learned that while many people were willing to invest $75 per hour for me to consult with them, some people were not able to afford that kind of fee. And since my time was so valuable, I couldn't afford to meet with people for less than that. So, I thought and I thought. I really racked my brain to come up with a solution. Today you can learn all my money-making secrets for a fraction of what others paid in the past Suddenly, the light bulb went on--I could put all of my years of experience and knowledge into a comprehensive guide. And that's just what I did. That's when The Ultimate Guide for Professional OrganizersTM was born. Finally, I had a way to mentor and help thousands of people who were struggling to get their organizing businesses off the ground. I could be their mentor and show them exactly what to do--step-by-step--through my Ultimate Guide for Professional OrganizersTM. And I could do it for a tiny fraction of what I had to charge in the past. BONUS 2: Social Media Marketing for Professional Organizers by Maria Gracia In today’s complex online marketing world it’s difficult, if not impossible, to grow your business online without social media. This social media bonus guides you through the social media channels I use…because I feel they’re the ones professional organizers can benefit from the most at this point in time. 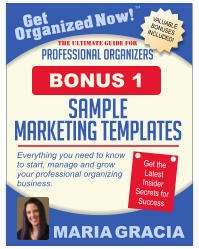 Each section includes the top ten tips for using each to market your professional organizing business. BONUS 3: Ready-to-Use-Forms by Maria Gracia As a professional organizer and successful entrepreneur, it’s very important for you to be organized and to keep good records, whether you’re tracking your business goals or keeping accurate marketing numbers so you can make good decisions along the way. The forms I’m providing are meant to be printed out, placed in a binder, and kept on your desk so you can fill them in and reference them daily. 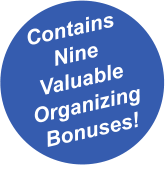 BONUS 9: Lifetime Professional Organizer . . . Facebook Support Group by Maria Gracia Community support is so important to success. 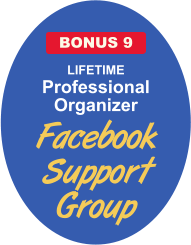 So I’ve included Lifetime access to our Ultimate Guide to Professional Organizers Facebook Support & Inspiration Group. Share your successes, ask questions and get the community support you need. BONUS 4: Helping Others Get Organized by Maria Gracia Helping Others Get Organized is compromised of the 5 universal organizing challenges professional organizers typically are paid to help their clients solve and the top 10 solutions for succeeding in each. This bonus component will help you get the job done in a reasonable timeframe to ensure your clients are happy enough to pay you for a job well done and to refer you to others. 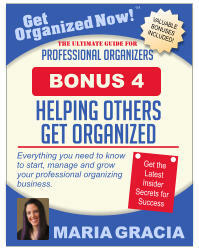 It is an essential addition to the Ultimate Guide for Professional Organizers. BONUS 5: One Dozen, Real-Life Professional Organizer Case Studies by Maria Gracia Throughout the years, I contact real-life professional organizers to tell their stories about how they handled one of their many organizing jobs. Some of these professional organizers have been in business for years…and still are. Others have since taken different paths in their lives. Nonetheless, these wonderful, timeless stories are bursting with wonderful ideas you can mirror in your own business, or otherwise simply use them for inspiration. One of the Most Complete Resources for Growing a Professional and Profitable Organizing Business! 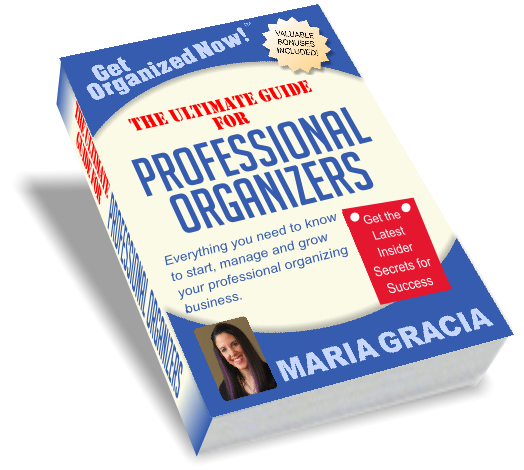 Whether you're in the planning stages or you're an organizing veteran, Maria Gracia's Ultimate Guide for Professional Organizers™ will reveal more ways to make more money from your organizing business than you ever imagined. I guarantee it! • What is a professional organizer? • What is a day in the life of a professional organizer like? • Define yourself as a “teacher,” a “doer” or both • Do I need special certification? • What qualifications do I need? • How do I choose my specialty? • How do I gain that “expert” status? • What are the benefits of joining NAPO? • How do I choose a business name? • How should I structure my business? • How much money do I have to invest to get started? • Do I need office space? • What do I need to set up shop? • Should I quit my current job? • What technology do I need? • Do I need business insurance? • Should I start my business on my own or should I team-up? • How many hours does running an organizing business require? • Should I take on a partner so I don’t have to go solo? • How much money can I make? • Is there a big enough need for my organizing services? • Do I need a formal business plan when I’m just starting out? • Do I need a marketing plan at this early stage? • The Passive versus the Proactive approach • How much time should I dedicate to marketing my business? • How to bring in clients and customers • What do I do when I meet my prospect for the first time? • Confidentiality • How do I conduct a needs analysis? • What do I do if I don’t want the job? • Do I need to offer a proposal? • How do I write a proposal? • Offering an irresistible solution • Closing the sale • Dealing effectively with Customer Psychology • How do I price my jobs • What can I charge for hands-on assistance or consulting? • How do I estimate how long it will take to complete a job? • How much should I charge for a deposit? • When do I get paid? • How should I get paid? • Repeat sales • Continuation plans • Turning your customers into lifetime customers and advocates • Case studies • Before and after photographs • Video and audio Clips • Client letters and cards • How to use the Media for greater exposure • Creating a press kit • Articles, Press Releases, Ads—What’s the difference? • How do I get into the major media? • How do I get on a radio show? • How do I get on some of the popular organizing shows on TV? • Will I get paid for my TV appearances? • Getting on the Web • An Image or Brochure web site • A Store web site and Free-Content web site • What do I have to do to have a web site of my own? • How should my site be designed? • What about Web hosting? • What about a domain name? • What about a discussion forum? • How can I accept credit cards on my Web site? • What should I have on my Web site? • How can I promote my Web site? • How do I create a free ezine? • What is a blog and should I have one? • Selling other people’s products • Get other people to sell your products and services • Consulting and presenting • Joint ventures • Bartering • How do I go about getting more speaking engagements? • What is this “home staging” thing all about? • I think I’d like to write a book. How do I get started? • What about creating my very own product? • . . . . and this is just a small sampling of what you will learn! BONUS 6: Professional Organizer Poll Results by Maria Gracia As organizing experts, it’s very important to know exactly what’s happening in the professional organizing industry. In light of this, I often conduct web polls to professional organizers to learn what they’re thinking and doing. Here are the results of some of those polls we’ve conducted. BONUS 7: Professional Organizer Mini-Interviews by Maria Gracia Over the years, I’ve conducted mini-interviews with fellow professional organizers. Some of these professional organizers have been in business for years…and still are. In fact, a handful were just starting out, when I started my Get Organized Now! business. Others have since taken different paths in their lives. Nonetheless, I just know you’re going to have fun, and benefit from, reading how professional organizers have responded to questions I’ve posed to them. BONUS 8: 200 Inspirational Quotations by Maria Gracia Inspirational quotations serve to boost our spirits by focusing on uplifting thoughts associated with our current goals. By continually exposing yourself to these positive, motivational messages our subconscious strengthens our commitment to stick with what we want to accomplish. You’ll benefit from the experiences of others as well as the unlimited rewards of helping others achieve their organizational goals.